A low-fat raw food diet, commonly called a fruitarian diet and fruit diet on the internet and in colloquial language, is the natural diet, or species-specific diet, of human beings. Every living being on earth and in the sea eats its species-specific food for nourishment and sustenance. Close your eyes for a moment and picture yourself in the middle of an equatorial jungle, where human beings originated. Imagine that you have no tools to capture or kill land or sea creatures and that you have no knowledge of how to make fire. What would you eat? The answer is fruit, hanging right in front of you from trees, catching your eye with its attractive, magnetizing colors and scents. Sweet, delicious fruit—it’s just perfect for our bodies, which run on sugar! Truly, we are Fruit-Powered beings! A low-fat raw food diet, fruitarian diet and fruit diet encompasses an abundant amount of fruits, an ample amount of tender greens and a limited amount of fat. A raw food diet cannot be successful otherwise because vegetables contain too few calories, and high-calorie nuts, seeds and other overtly fatty foods such as avocados average 75 percent fat, which would comprise an excess of healthful fat for the human body. No animal, cooked or processed foods are included in this diet. It’s true that we fashioned tools to capture and kill living beings, discovered fire and created processed foods, but our bodies haven’t evolved to make eating animal foods, cooked foods and processed foods optimal. 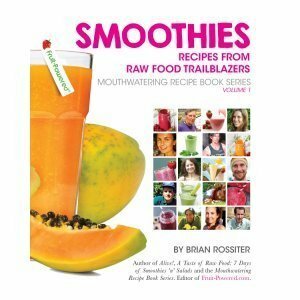 Green smoothies can be key in succeeding on a low-fat raw food diet, commonly called a fruitarian diet and fruit diet. I consumed green smoothies for 1,250 consecutive days from the day I had my first one and still enjoy them practically daily. I simply believe a low-fat raw food diet is not only a healthy diet but the best diet! 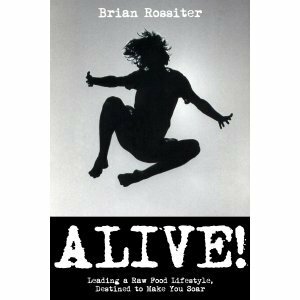 Master the basics and gain sage insight on fine points to help propel you on your health journey! 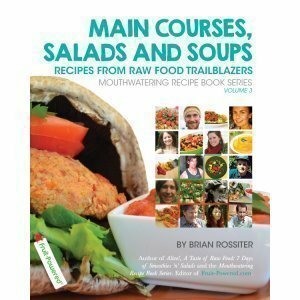 The Fruit-Powered Life Force Center‘s natural health services include the Raw Vegan Coaching Program. 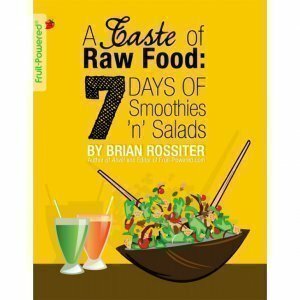 As a holistic health coach, Brian Rossiter guides transitioning raw food diet enthusiasts. A low-fat raw food diet and other vegan lifestyle choices enable me and thousands of others across the globe to give fellow sentient earth and sea creatures the freedom they deserve to lead the lives they desire. These living beings are not here for human beings to eat or steal the byproducts of (dairy and honey), nor are they here for clothing (leather), to do work for us (horse carriage) or our amusement (circuses) or study (zoos and aquariums). Additionally, a low-fat raw food diet can help protect Mother Earth’s precious and ever-scarcer land, water and fresh-air resources. It is estimated that 9 billion to 10 billion human beings will roam the earth come 2050, and this year is also seen as a tipping point for the planet. If human beings continue to eat animal products, we simply may run out of land, lots of which is required to not only house so many people but to raise animals for human beings to eat. Moreover, we may also run out of fresh water because much water is required for animal agriculture. Livestock and their products combine for 51 percent of all greenhouse gas emissions, one study shows. Understand that this is almost quadruple the impact on greenhouse gas emissions of all the planet’s roughly 1 billion automobiles. Albert Einstein declared “Energy is everything” and “Energy cannot be created or destroyed; it can only be changed from one form to another.” So when you eat animal products, you eat the disease, fear, hatred, rage, anger and depression that lives inside these chickens, cows, pigs and other living beings. These innocent animals are harboring these emotions because they’re being taken from their families; confined in small, disease-ridden spaces; pumped full of hormones and antibiotics; and tortured. This is playing out every day in factory farms and on dinner plates. Truly, when you think about it, not only are human beings physiologically designed to be fruit eaters and not consumers of land and sea creatures and their byproducts but they are destroying the environment, the lives of fellow living beings and their own health and lives. I believe global embrace of a low-fat raw food diet is the key to saving the world because it enables us to return to our connection to nature and live in our natural state: love. I believe world peace can be achieved on a fruitarian diet, or fruit diet. This is the diet that brings peak awareness and consciousness, raising our vibration and heightening our spiritual connection. Our diet and other lifestyle choices affect life on earth for us, other human beings, all other land and sea creatures as well as the environment. Additionally, our choices today affect life on the planet for all species in the future. The world truly is in our hands, and a low-fat raw food diet represents the best way to honor Mother Earth and pay its gifts forward to future generations. Most enjoying longtime success on a low-fat raw food diet eat fruit or fruit and tender greens for breakfast and lunch whole or as Fruit Recipes or blended as Fruit Smoothie Recipes or Green Smoothie Recipes along with salads for dinner as their Main Course Recipes. Salads comprise tender greens and an overt fat such as avocado, nuts or seeds either eaten whole or blended as Dressing Recipes. Some choose to include nonsweet fruits such as bell peppers, cucumbers and/or tomatoes in their salads, with many eschewing vegetables such as beets and carrots in their salads. For dinner, many longtime raw food diet enthusiasts sometimes or even regularly eat fruit or fruit and tender greens for dinner. Some even choose to have Juice Recipes for dinner. 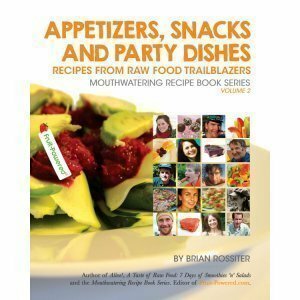 Explore 100-plus Raw Vegan Recipes, including Appetizer Recipes to Party Dish Recipes. Some transitioning to a low-fat raw food diet, fruitarian diet and fruit diet may need to have four or even five meals a day because their stomach muscles haven’t been adequately stretched while subsisting on a water-deprived diet of cooked foods. Staple foods such as high-calorie bananas, which average 105 calories each, help make this lifestyle work. There’s nothing wrong with loading up on bananas as long as you enjoy a wide variety of fruits as well as enjoy tender greens and overtly fatty foods, too! All this said, consider just for a moment that every species eats monomeals, which means a meal made from a single food. Enjoying monomeals is optimal for digestion because we’re hard-wired to eat just one food at a time. Know that we’re in no hurry to load up on every nutrient at every meal, so the simpler the meal, the better! 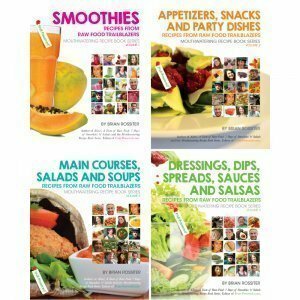 Many on a low-fat raw food diet, fruitarian diet and fruit diet choose to eat salads, as this family is preparing, several nights a week as their dinners. Most enjoying a low-fat raw food diet, fruitarian diet and fruit diet keep their consumption of total fat calories to 15 percent or less—usually 10 percent or less—of their total caloric consumption. Additionally, their consumption of carbohydrates generally comprises at least 80 percent of their total calories, with protein consumption running no greater than 10 percent of their total calories. Eating more than 10 percent of calories from fat leads to diabetes, stroke and cancer, studies show. Consuming more than 10 per­cent of calories from protein results in low energy and acid toxemia, a precursor for arthritis and cancer, studies also show. The average American eats 42 percent carbohydrates, 16 percent protein and 42 percent fat. No wonder 70-plus percent of Americans are overweight or obese, with diabetes, prediabetes and undiagnosed diabetes affecting one out of three Americans! Two out of five men and one of out three women will face a cancer diagnosis in their lifetime. 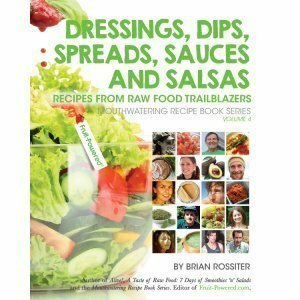 As highlighted in 100-plus Raw Vegan Transformations published in Fruit-Powered Digest as well as in some Fruit-Powered Video installments, eating a low-fat raw food diet can help people prevent and heal from many health challenges such as obesity, diabetes, heart disease and cancer. The reason for this is our natural diet provides optimal conditions for detoxification and healing to occur. The body always strives to achieve homeostasis, or a state of equilibrium. A low-fat raw food diet, fruitarian diet and fruit diet supercharges health, providing invigorating energy and a return to nature. I recommend 3 to 5 percent of our calories come from tender greens. I don’t believe human beings are designed to eat kale, collard greens and other cruciferous vegetables, so lettuce and celery are the best options for these mineral-rich greens. Three to 5 percent of calories from tender greens sounds minimal, but once you start counting calories, you’ll see tender greens contain few calories, with romaine lettuce offering 77 calories a pound and red leaf lettuce and celery offering 73 calories a pound. Counting calories for a while into your raw journey is extremely helpful to learn how many calories you need. You can’t go the distance each day without running out of fuel if you don’t have a fuel gauge, and this gauge is very different from standard American diet foods. Count what you put into your body and learn how many calories you need so you can feel “on” all day long, helping you reach all your destinations in life! Moreover, counting calories simply helps eliminate food waste and saves you money! 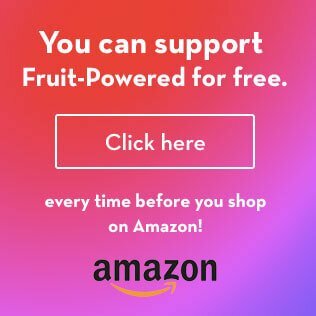 On Fruit-Powered.com, you’ll even see the brand name Fruit-Powered Lifestyle. On the journey to optimal health since 2010, I have developed a series of guidelines, whose cornerstone is a low-fat raw food diet, for my Raw Vegan Coaching Program clients. These clients receive much more than dietary guidance; they receive recommendations in many other lifestyle areas, including positive-thinking and goal-achievement strategies as well as recommendations on supplementation, personal hygiene and natural care products, for a happy, healthy life. Eating healthfully is a major factor in feeling sensational, but other factors such as adequate sleep and sunshine also contribute to well-being. A key component of my health has been my practice of special posture exercises for chronic pain relief and peak performance that correct my joint alignment and posture. I eliminated back pain and neck pain as well as carpal tunnel syndrome and cubital tunnel syndrome, from which I had suffered for a decade. When I had restored enough of my body’s alignment to permit an increased amount of physical fitness, I launched an evolving exercise routine whose cornerstone has long been, is and will always be posture correction exercises and calisthenics. As a holistic health coach, I guide others to experience chronic pain relief and peak performance in my Posture Exercises Method, also offered by the Fruit-Powered Life Force Center. Explore the Exercise Guide! Check out what the Fruit-Powered Life Force Center’s natural health services can do for you! Explore and subscribe to Fruit-Powered Digest!